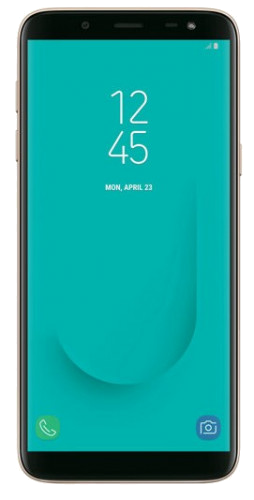 The Galaxy J6 is the cheapest Samsung smartphone with an Infinity display. It’s also the company’s best effort in the budget space in quite some time and one that gets our recommendation for what it offers for the asking price. It’s a good thing, then, that Samsung is making sure the Galaxy J6 is also up-to-date on the software front. The company has released a Galaxy J6 update in some European countries, bringing the July 2018 security patch to the device. Of course, the Galaxy J6 isn’t the only recent phone Samsung is supporting well. The Galaxy A6 was also treated to the July security patch earlier this week, along with camera improvements and the Secure Wi-Fi feature. The July 2018 patch brings fixes for four critical vulnerabilities in the Android OS and nice that affect Samsung’s software. The Galaxy J6 update is available in Italy and Spain at the moment, with build number J600FNXXU1ARG2. Other markets may also get it in the coming days, though there’s no telling when that will happen. As usual, some users may directly receive the next security patch or the one thereafter, as Samsung can be quite random with such updates. If you have a Galaxy J6, open the Settings app, go into the Software update, then tap Download updates manually. If the update is available for you, it should start downloading. If not, you can download the full firmware from our database for your country. Oh lovely!!! Yesterday I got June 1 security update on my Note 8. That’s amazing, ah?